Valspar Championship — Snakes on a Course! If you’re looking for the 2016 preview, click here. From the Blue Monster, the PGA Tour moves to the Copperhead course at Innisbrook Resort! No, not Lincoln’s copper head on the penny, we’re talking ’bout the snake! 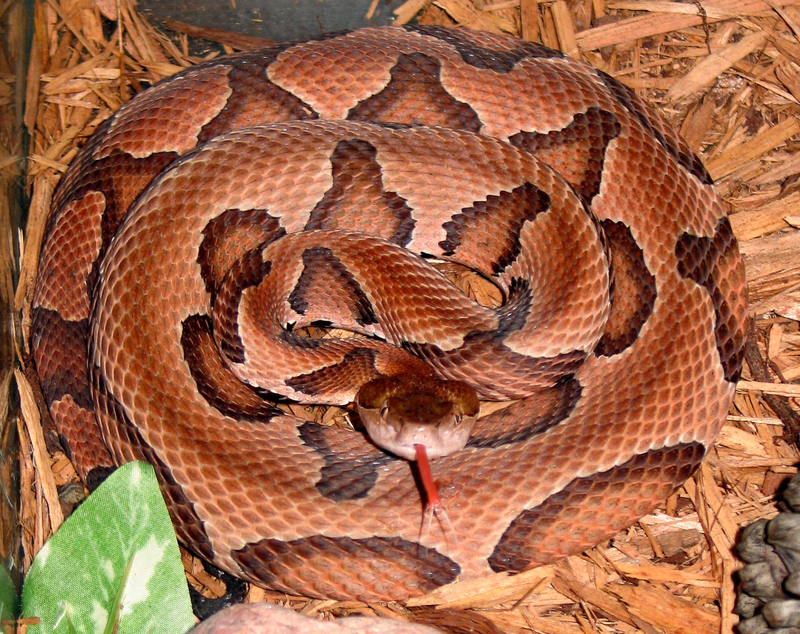 According to wikipedia (the source of pretty much all information you see here on this site), the copperhead isn’t too venomous, and doesn’t bite too often. That has nothing to do with golf, but we could all use some snake safety tips once in a while. Ohhhhh it’s a snake! Thanks wikipedia for the pic. This week’s sponsor breaks the streak of car sponsored tournaments at 2 in a row, and starts the streak of paint company sponsored tournaments. I’m guessing that streak will be a short one. Founded in 1806, Valspar has a current market cap of $7 billion. Compared to the recent valuation of Snapchat at $19 billion, which was founded in 2011, I’ll say Valspar is lagging a little. That $7B valuation puts Valspar as the 6th largest paint company in the world. Given that Valspar is the title sponsor of a PGA Tour event, this leaves me wondering when the Akzonobel Open is going to be. Or maybe that’s already a European Tour event since Akzonobel is a dutch company. While we’re at it, when’s the Snapchat Open? Maybe that already took place, but nobody remembers it because all of the scores disappeared 10 seconds after the player holed out. Yup we’re still in Florida, with this being the third tournament out of four in a row in the Sunshine State. If you’ve been reading along with that last few previews, you probably know that I’m not too big a fan of Florida courses because of their general pancake nature. Well the Copperhead Course at Innisbrook Resort is one of the lone exceptions to the “Pancake Rule” of Florida courses. Semi-treelined, and you might be confused that the players are somewhere in the Midwest. The course measures 7,340 yards at par 71 which makes it a pretty long course. I’ll let you know a secret about that though — the PGA Tour rarely set up the course play at the length listed on the scorecard. All that number listed above is for is to make a course seem harder and longer than it plays.But really, a course listed at 7,340 yards is going to be long no matter how they set up the course. The Copperhead Course also features another named stretch of holes. In this case, the 16th, 17th and 18th holes are dubbed “The Snake Pit” (not “The Snake Trap”, sorry Mike). Another trend that the Copperhead Course / Snake Pit continues is where designers get to the end of a course and just says, “Screw it, let’s make it as hard as possible because everybody likes when bogeys lose players tournaments”. Apparently I’m the only one who likes when players can actually make birdies on a course down the stretch, because the majority of Tour courses have difficult finishes. Quick shoutout to Augusta National for not being like this. Can’t wait for April. John Senden, the forgotten Australian won last year after a third round 64. Well it wasn’t only the third round that won it for him — it probably helped that he birdied 16 and 17 on Sunday to put the tournament away, beating Kevin Na by 1. Remember in the last section where I said that the winner at this course is probably going to be trying to hold on with pars in the last few holes? Oops. Let’s just ignore I mentioned that. Senden’s scores of 72-70-64-71 also showed that you don’t need to play well all 4 days to win a PGA Tour event. All you need is one really hot round and three where you hold on for dear life to get the job done. Top ranked foreigners — While not quite a main pull on tour, the Valspar does have two of the top 5 players in the world. Adam Scott and Henrik Stenson lead the charge. Right here’s the point in the article where I would talk about how often the top ranked player in the field wins a tournament, but I don’t have those stats. If anyone does and wants to let me know, @golfonthemind is where to find me. Ollie Schniederjans — Cool name, and number one ranked amateur in the world. I’m a big fan of pointing out amateurs in PGA Tour events. They’re going to be the future of the tour, and it’s fun to say you knew who they are way back when. Also, I’m still holding out for some amateur to win on tour. 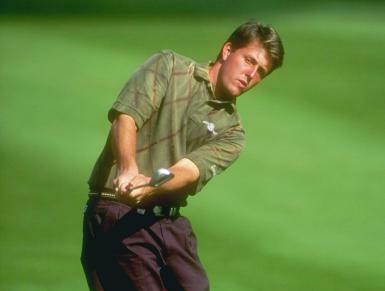 It’s been since 1991 and Phil Mickelson since that happened. I’m not holding out too much hope for that streak to end at the Valspar, but you never know. Look how young he is! This is Phil by the way, not Ollie.